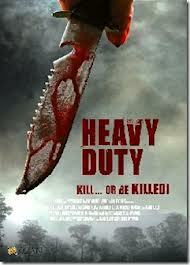 Buy or Rent Heavy Duty (2012) Movie DVD & BluRay Online! Movie Plot: An ex-soldier and his wife witness a brutal murder during their camping holiday, and find themselves hunted by the killers. However, the former soldier has plans of his own… As darkness falls, the enemy scours the woods for the couple, unaware of the chilling fate that awaits them.